Jesse Ventura and Jen Hobbs have produced an important new book in Jesse Ventura’s Marijuana Manifesto. I can recall how, over forty years ago, the expectations of everyone I knew were that marijuana, if not all drugs, would be legalized in the near future. I don’t think many of us who were young at the time could have possibly foreseen the decades-long, utterly failed “war” on drugs that followed. Abbie Hoffman once famously asked why they called it the Drug Enforcement Agency. These insidious entrapment policies, at both the local and federal levels, where “narcs” befriend and encourage the use and sale of drugs, and then betray their “friends,” helped transform law enforcement in a way no civil libertarian should support. 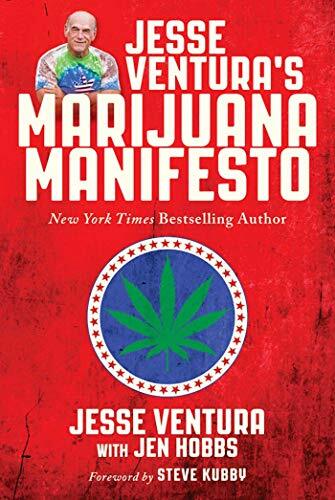 Jesse Ventura’s Marijuana Manifesto provides a great overview of our misguided drug policies. Everything from the benefits of medical marijuana to the practical uses of the hemp plant to the corruption behind the entire drug “war” is detailed. I highly recommend this book to anyone who cares about fairness and justice.